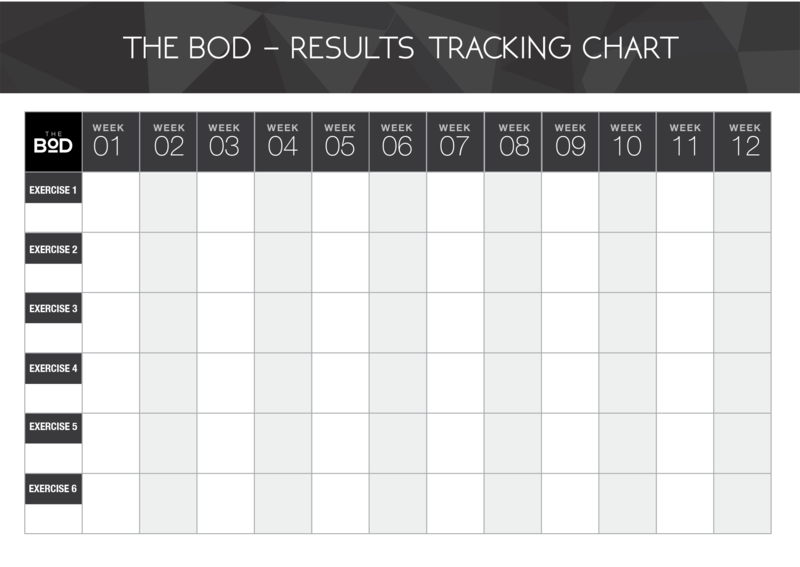 Using the weekly results record chart, it is important to track your progress weekly. With the progressive training program, you will see an increase in your strength, fitness and endurance. By week 12, you will be able to compare your results to week 1 which will give you extra motivation to push on through another round. Record your strength, your 1RM’s, your times and performance based results to compare against.